two in San Diego County (where we live); and one in the Sierra Foothills (owned & farmed by a dear friend and mentor). Behind Vandenberg Air Force Base in the tiny town of Los Alamos grow rows of vibrant vines, with nearly as much energy as a midnight rocket launch. Riesling, Pinot noir, and Pinot gris thrive in the decomposed-seabed ground. The chilly microclimate and abundant late-morning sunshine on this side of town allow the fruit to develop gorgeous complexity, while ripening at relatively lower sugar levels. We have made wine from Kick On Ranch since 2010, when we sought out the Riesling fruit after tasting a stellar example by pioneering Central Coast winemaker Adam Tolmach of The Ojai Vineyard. We fell in love with the site at first, well, sight. Pinot noir joined our repertoire in 2011, and Pinot gris rounded out the trifecta in 2012. This vineyard has a voice we love to hear. 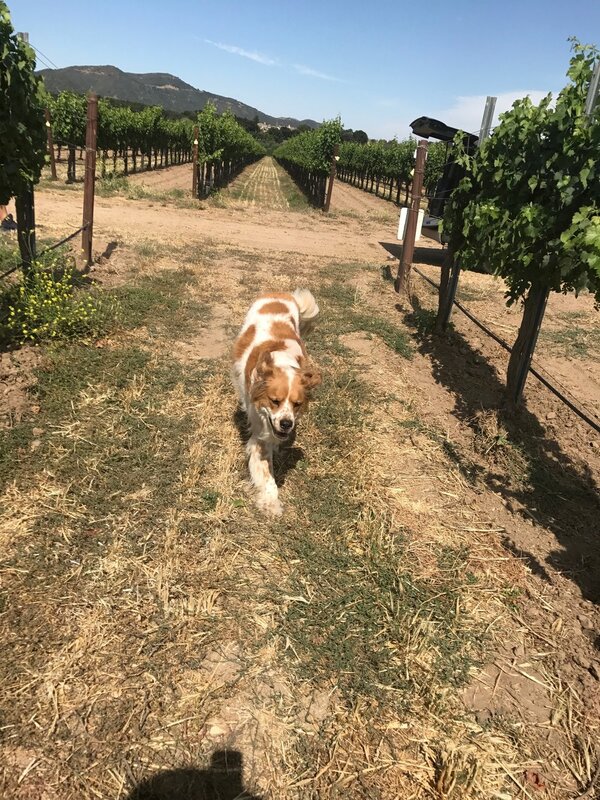 On Highway 166 in the city of Santa Maria, past miles of bumpy dirt road where cows freely graze (and sometimes, stand, until they're good and ready to move), rises Alamo Creek Vineyard. Hundred-year-old oak trees surround the vines. Syrah is the star here, struggling in the rocky soil. Its roots plunge deep, digging for the aquifer that, in years of good winter rain, allow the vines to be completely dry-farmed. 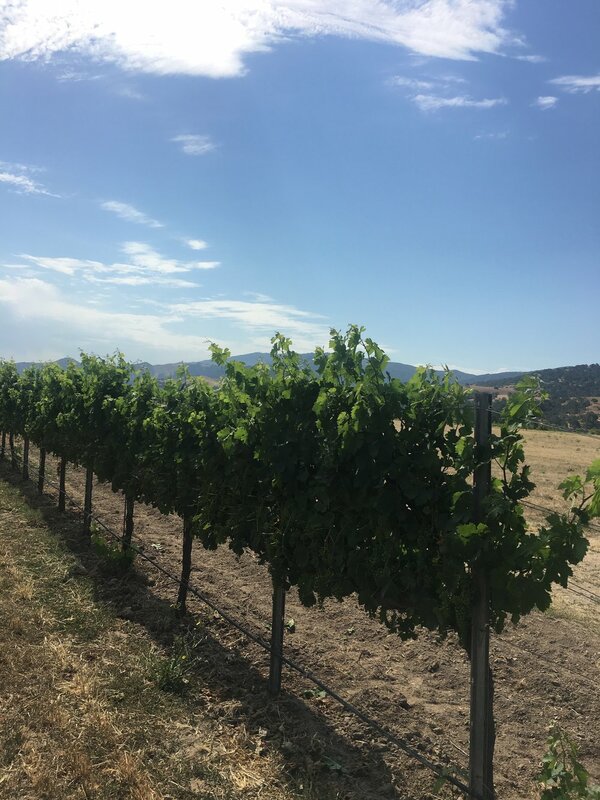 There is an exuberance to the Alamo Creek Syrah; a sunny-California disposition, but it comes along with a structural underpinning that reminds you: These vines work hard to deliver their bounty. Often, it is struggle that reveals true character. A noble site will shine. It will find a way. Vines with the strongest life-force will survive. Even fire and disease cannot take them. 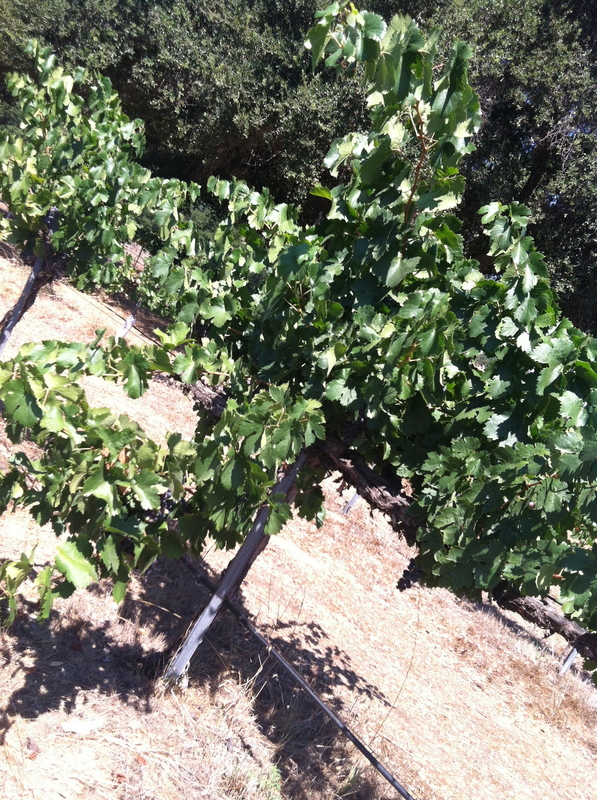 These 38-year-old Carignan plantings, rooted in granitic soils at the Pauma Valley base of Palomar Mountain, are survivors. The fruit they bear, and the wine it makes, have a powerful story. It is worth the time to get to know; to come away with a new understanding of San Diego. While we learned to love wine and make it in Santa Barbara, we are bound to San Diego. We've lived here since the 1990s. Our children were born here. When we found good wine could come from here, too, we were honored to be invited to work with this vineyard in 2012 and onward. It has proven its mettle in spades. 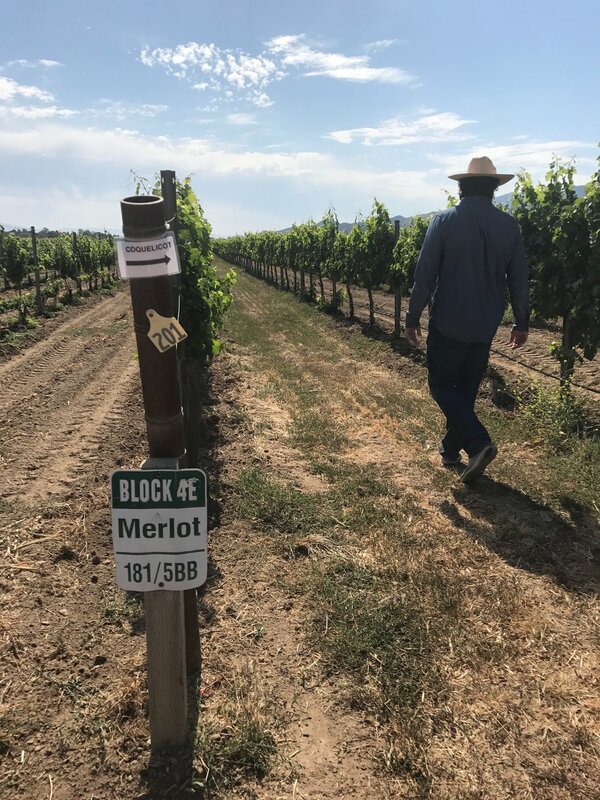 The multi-generational Broomell family of Valley Center lives on this land at Triple B Ranches, farming these young vines with intention and purpose. 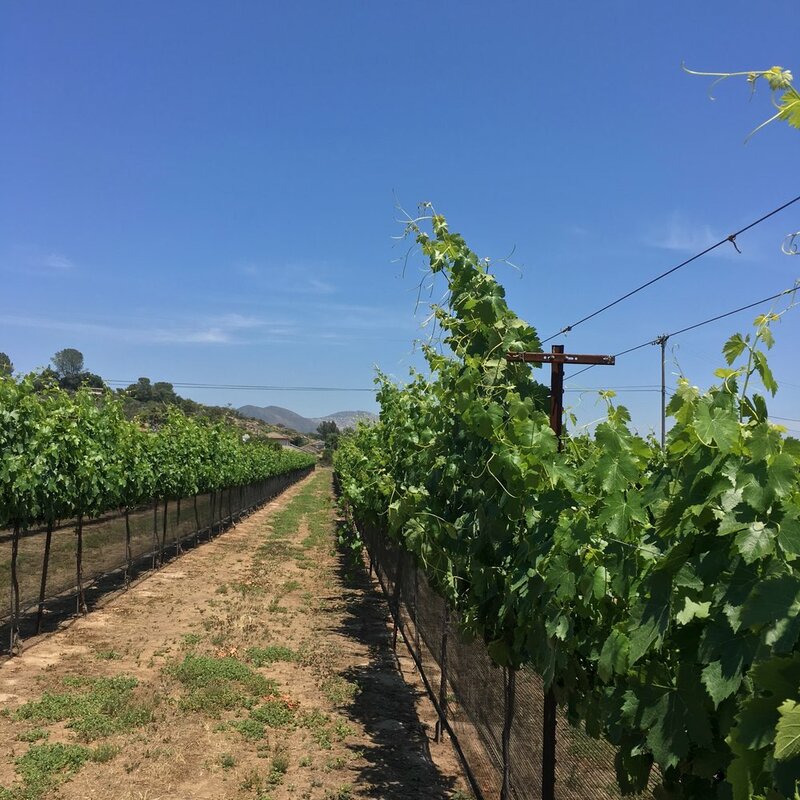 Like us, vineyard manager Chris Broomell learned about viticulture and winemaking in Santa Barbara, and convinced his grandfather that the family citrus farm in the northeastern hills of San Diego just might be the perfect place to grow Rhône varieties. We couldn't agree more. Planted in 2013 with the goal of dry-farming the vines specifically to make rosé, the Cinsault of Hagata Vineyard has taken quite nicely to its new home and the quiet, focused energy of its caretaker, producing simply beautiful fruit. We happily got our hands (and feet) on it for the first time in 2016, reinventing the Uncontainable rosé, which was delicious enough that Vogue Magazine took notice despite the tiny 75-case production. We can't wait to do it again. The youngest vineyard we work with, this is one to watch. In 2009, we 1) made three barrels of wine in our garage and 2) had fellow San Diego-native and winemaker extraordinaire Matthew Rorick over as the first person to taste them. Seven years later, we made two barrels of wine in our winery from a historic vineyard Matthew subsequently came to own in a former Gold Rush town. Life and the cosmos move in mysterious ways, is all we can say. After years of fits and starts and plan-foiling frosts, we finally can bring to you our very first Chardonnay; the only one we ever wanted to make, from vines we loved the moment we lay eyes on them in early 2014, at the then-newly minted Rorick Heritage Vineyard. Own-rooted, Wente-clone, 1974-planted; vine-souls equally elegant and gnarled; thriving in this haunted, magical land full of limestone and schist? 2017 presented us with an offer we couldn't refuse: the generous opportunity to make a new wine of our choosing, in whatever fashion we chose. Naturally, we wanted to do something that hadn't ever quite been done in quite the way we were going to do it. 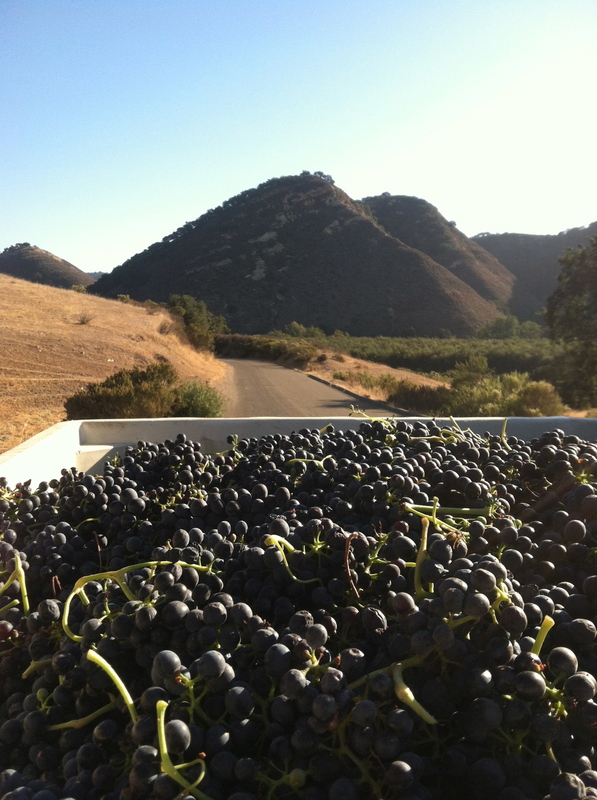 It took some serious deliberation, but we settled on this: certified-organic Merlot grapes from the gorgeous, impeccably farmed Coquelicot Vineyard, located just behind the charming streets of Solvang. It's sunny and warm, perfect for Bordeaux varieties. No better place to take the plunge into working with a brand-new grape. Now! The wine! Fermented fully carbonically, in a just-released 2-ton Flextank egg, pressed after fermentation and aged six months in neutral French oak. Think of something along the lines of Cru Beaujolais, but made in an egg-shaped vessel, and, you know, with California Merlot. Released on May 31, 2018, Défier, we hope, pays tribute to the place it grew, and the care with which it was tended. We're incredibly grateful for the chance to work with it. This wine is permanently joining the repertoire. Copyright J. Brix Wines. All Rights Reserved.